Brian Hafner is Chief Operations Officer at LHI and Director of the Reserve Health Readiness Program (RHRP). Previously, Hafner served as Vice President of Operations and also as Chief Information Officer. In his experience at LHI, Hafner’s responsibilities have included oversight and management of information technology as well as all organizational operations including Medical Operations, Dental Operations, Call Centers, Clinic Management, Distribution Operations Center, on-location Group Events, Data Control and Post Deployment Health Reassessment. In Hafner’s role he is responsible for overseeing all resources necessary to ensure the success of the RHRP. 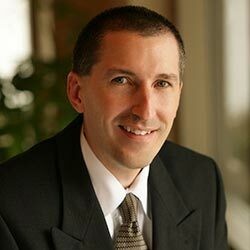 Hafner holds a Bachelor of Science Degree in Management Information Systems from the University of Wisconsin – La Crosse and an Associate Degree in Business Administration from Western Technical College in La Crosse, Wis.